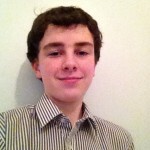 I am Harry and I have recently spent two days at NHS England on a work experience placement. I did this during half term to find out more about work and what it is like as I am still in year 10 (First year of GCSEs). It has been a really fun experience which involved a basic introduction to NHS England, information about the government and their relationship with NHS England through The Mandate, a few projects with the patient and public voice team and information on specialised services, in particular, congenital heart disease services. I began with John Holden’s team and an introduction to NHS England which, from what I understood, is the government run business behind our free healthcare. They decide what happens to all the many billions of pounds that comes out of our taxes and goes towards our healthcare and sort out any legal matters to do with the NHS. I also discovered that they provide all the offenders and armed forces with healthcare separately from all other healthcare. While in this team I also learnt about how the government give NHS England a list of targets that they need to achieve with the money provided, using these targets the NHS tell the government how they are going to achieve it and whether they think they need more money or not. However, they rarely get more money even If they need it. The rest of my time was spent in the patient and public voice team who are responsible for making sure the public and everyone who wants to get involved has a say in what happens in the NHS. It is surprising how people based every decision the NHS make is. They make sure the people get a say in all the big decisions and very rarely go ahead with something if the public don’t agree. Through this team I learnt about the Health and Care Innovation Expo event and all the work they have gone through to do it. They are hoping about 10,000 people will turn up to the event from all over England. A lot of these people suffer from disabilities and need help getting to and from Manchester (where the Expo event is being held) so I had to try to arrange for some charities to provide a helper to get a blind man the whole way to Manchester and back. This was really interesting and allowed me to do some practical work calling up charities and booking train tickets for many different people. Later I sat in on a meeting with a spider phone allowing many people from many different places to all join one call or teleconference. This was really interesting to see how it worked and actually sit in on a call. I also joined in during another meeting and received an intro to video conferencing from Tom. He explained how it worked and showed me a video conference room with the camera on and working. This was shortly followed by a session on some new ideas for a people’s bank allowing people to easily get involved with the NHS on a social networking style site but with easy access and hopefully a wide range of ages involved. To finish off I spent some time with someone from the team who are doing the new congenital heart disease review. I learnt about the review and what it’s trying to do. We spent time talking about the different groups of people that are involved in the review, including patients, families and the doctors from the hospitals that do heart surgery, and how the public are very strongly against any surgeries closing. Overall I really enjoyed my experience and think that I learnt a lot from it. For any other young people who need work experience I would suggest at least considering a placement in NHS England because it allows you to learn about how the medical world works. Harry, sounds like you had a really productive and informative visit to Quarry House and thanks for taking the time to share your experience with us.